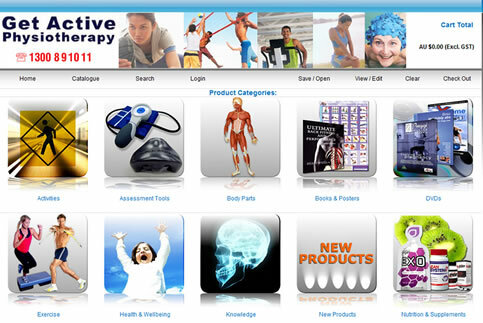 Increase Your Health Business Profits by adding a Product Range to Your Website !!! What are the Problems we Face Selling Products to our Clients? Having to keep stock in our businesses which takes up space and ends up getting lost or unaccounted for. Problems in shipping and sending products – high costs and low returns. Limited to selling only to our current clients and missing out on the millions of potential customers worldwide. Build your income through product sales without the hassles! E-Commerce lets you provide convenient interaction with your existing clients AND also get the benefit of having a potential world wide presence – your market penetration goes from hundreds of direct customers to MILLIONS of on-line customers! You can get the basic online shop set up for FREE – however if you want to get your own logo and details on the product pages there is a one off payment of about $200. We will simply add our current range of nearly 1000 products onto the back of your website – and then any sales that originate from your link – you get a commission for – great passive income. Obviously the more traffic you can drive to your website – via special product emails to your database or general advertising – the more potential sales you will make and the more commission you will receive each month – remember this extra income is totally passive – you don’t receive the order, you don’t ship anything and you don’t keep any stock – you just get a % of anything we sell simply by having our products on the back of your website and sending as much traffic to the site as you can. You can also play a more active role – by selling the same items directly to your clients using the “Drop Ship” – function. This lets you sell a client a high quality product directly to them, using the clients credit card, and AOK will stock, send and invoice on your behalf – again – no messing with stock or limited space. You will then receive the difference between the wholesale and the retail price for any product you sell using this “Drop Ship” function – the same as you do now but without the hassle of keeping the stock in your clinic or health business. We can set you up with a simple home page that basically acts as the front for your online shop – this can be done for only a few hundred dollars and can immediately allow you to sell products to your current database of clients as well as worldwide buyers. 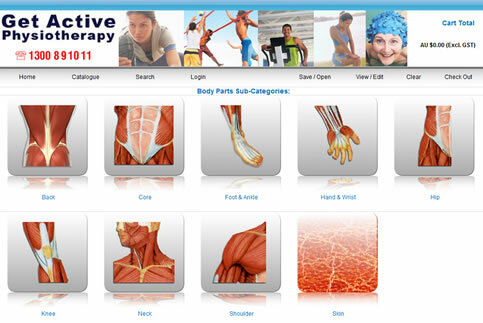 To see an example of the “Product Shop” – exactly as it will appear on your site (except for your logo etc) go to www.getactivephysio.com.au and click on the link to the “ Product Shop” – this took about 15 minutes to set up and is already making money for our business that we would never have had. Over 1000 quality fitness and health products on the easy to use e-commerce platform and secure payment gateway. New products added regularly. Choose which products to offer or offer our full range. We ship anywhere within Australia and most destinations around the world using the world’s best couriers. Earn up to 30% commission on every Tier 1 sale (ex GST)! Bonus of 10% of commission payable when retail sales reach $2000 for the month. Sub-Affiliate Program lets you benefit from your business network. Earn up to 15% from every sale your affiliate makes. Detailed Commission Reports available on-line or emailed to you. Responsive Webmaster Support offering personalized customer service and expert support. Complete customer satisfaction on our products - we stand behind our 30-day return policy. Quick and easy to set up – you can be earning the same day you sign up. Advanced features will be added over the coming months to further enhance your business.